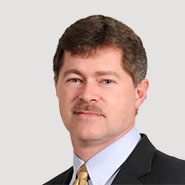 Young Conaway Stargatt & Taylor, LLP is pleased to announce that Joel A. Waite, a partner in the firm’s Bankruptcy and Corporate Restructuring group, is serving as a co-chair for the AIRA’s 31st Annual Bankruptcy and Restructuring Conference June 3-6, 2015 at The Ritz-Carlton, Philadelphia. 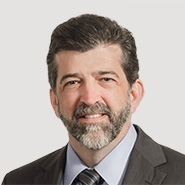 Additionally, John T. Dorsey, also a partner in the firm’s Bankruptcy and Restructuring group, will be moderating a session at the conference entitled “Testifying as an Expert Witness: Considerations, Process and Pitfalls”. AIRA’s Annual Conference is geared toward maximizing opportunities for learning, connecting and exploring, as well as offering credit for continuing legal and professional education. The Conference will consist of a variety of panel discussions, including the participation of fourteen Bankruptcy Judges, in addition to keynote presentations by Edward Rendell, former Pennsylvania Governor and Philadelphia Mayor, Professor David Skeel, the S. Samuel Arsht Professor of Corporate Law at the University of Pennsylvania School of Law, and Osagie Imasogie, Senior Managing Partner and Founder of Phoenix IP Ventures. The Conference also offers a variety of optional excursions, including a golf outing, Segway tour, Philly food tour, a tour of the Barnes Foundation, and a baseball game (Phillies v. Giants). For more information and registration, visit www.aira.org.